Among volatile pyrolysis products are organic compounds containing nitrogen, sulfur or oxygen heteroatoms. As a result of this, liquid pyrolysis products in particular become unstable and susceptible to secondary reactions (polymerization, polycondensation, polyaddition), which lead to an increase of average molecular weight or even to the production of solid matter. 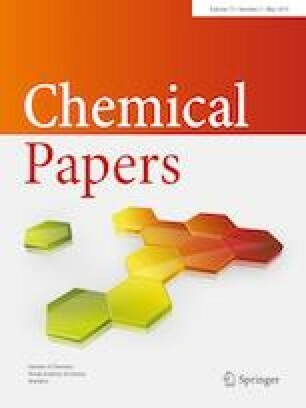 This paper examines catalytic refining of oxygen, nitrogen and sulfur compounds found in volatile pyrolysis products from Czech lignite, by transformation into water, ammonia and hydrogen sulfide, and acquiring a liquid product suitable for further treatment. The volatile products were refined in gas phase in a separately heated catalytic reactor filled with Ni–W-based hydrocracking catalyst. The main goal of the experiments was to determine the effect of employing a thermo-catalytic reactor on the yielded amounts of individual products, and on the composition of the gaseous and liquid products of lignite pyrolysis. It was found that a higher pyrolysis temperature (650 °C) ensures a sufficient decomposition of pyrolyzed lignite and also a better composition of the gas than a pyrolysis carried out at the temperature of 550 °C. The use of a thermo-catalytic reactor does, on the one hand, results in a decreased yield of the liquid product including its organic phase, but there is an increased yield of light fraction in this organic phase.